Metallic coatings provide a layer that changes the surface properties of the work piece to those of the metal being applied. The work piece becomes a composite material exhibiting properties generally not achievable by either material if used alone. Metallic coatings are deposited by electroplating, electroless plating, spraying, hot dipping, chemical vapor deposition and ion vapor deposition. Metallic coatings provide a layer that changes the surface properties of the work piece to those of the metal being applied. The work piece becomes a composite material exhibiting properties generally not achievable by either material if used alone. The coatings provide a durable, corrosion resistant layer, and the core material provides the load bearing capability. The deposition of metal coatings, such as chromium, nickel, copper, and cadmium, is usually achieved by wet chemical processes that have inherent pollution control problems. Metallic coatings are deposited by electroplating, electroless plating, spraying, hot dipping, chemical vapor deposition and ion vapor deposition. Some important coatings are cadmium, chromium, nickel, aluminum and zinc. Plating and surface treatment processes are typically batch operations, in which metal objects are dipped into and then removed from baths containing various reagents to achieve the desired surface condition. 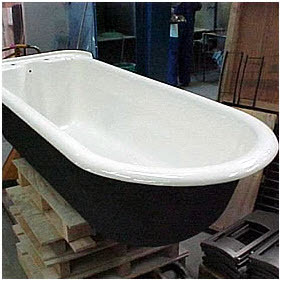 The processes involves moving the object being coated through a series of baths designed to produce the desired end product. These processes can be manual or highly automated operations, depending on the level of sophistication and modernization of the facility and the application. Polymer coatings: A number of commercial processes are available for applying polymeric materials from either sheet or powder, and comparatively thick, robust coatings can be obtained which give protection against corrosion and mechanical damage. Like metallic barrier layers, they may, however, allow rapid corrosion if portions of the metal are exposed. 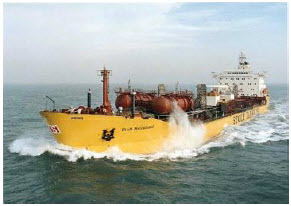 Figure 1 shows the polymer coated cargo ship vessel/tank. Vitreous enamels: A vitreous enamel surface finish is achieved by fusing glass particles to sheet metal or cast iron by firing it at a temperature in excess of 800°C. This results in a surface that is incredibly hardwearing to all the elements. It is temperature resistant (up to 800°C) and chemical resistant with exceptional color stability. The finished enameled product is easy to maintain, clean and hygienic meaning it can be used for many applications internally and externally. Conversion coatings: Chemical reactions to produce layers of corrosion-resisting sales (particularly phosphate and chromate) can produce a wide range of coatings, suitable both for enhancing the corrosion resistance of the metal or as a preparation for painting. The phosphate coating has been in use commercially for over 60 years as a corrosion protection system for ferrous metals. In many commercial applications the phosphate coating offers a suitable mechanical key for paints and enamels. The chromate coating is commonly used on zinc-plated parts to protect the zinc from white corrosion, which is primarily a cosmetic issue. It cannot be applied directly to steel or iron, and does not enhance zinc’s anodic protection of the underlying steel from brown corrosion. Steel parts must be plated with zinc or cadmium prior to chromating. Decorative chrome plating provides a brilliant and tarnish resistant finish that is used extensively in the automotive trim industry and restoration, shopfitting equipment and domestic interior applications like bathroom taps, kitchen utensils etc. Zinc – is a popular coating for steel as it offers good corrosion resistance at an economical price. As zinc is anodic to steel it will corrode before the steel does, sacrificing itself for the benefit of the steel. New hexavalent free chrome conversion coatings are now available to enhance the zinc coating. Painting: Paints provide easily applied and versatile organic coatings, which can be adapted to a wide range of requirements. They do not act by excluding water and oxygen; their action depends partly on excluding strong electrolytes and partly on the fact that paint materials usually contain corrosion inhibitors, often in the form of heavy-metal organic salts. Paint films are porous, and they are liable to mechanical damage. Even if corrosive salts penetrate breaches in the paint, however, the inhibitive species will often succumb to previous serious attack on the underlying metal. If the damaged area is too large, or the contamination too heavy, and corrosion proceeds, the cathodic alkali may soften and detach the paint film, leading to the formation of a blister which remains wet long after the rest of the surface has dried. A successful protective system should therefore include a priming layer containing a corrosion inhibitor and preferably a layer of metal that can protect the underlying surface by sacrificial action. Steel to be painted may therefore be aluminum – or zinc-sprayed, or primers containing metallic zinc particles may be employed. Thorough cleaning of the metal surface is extremely important, especially if it has previously been corroded. Abrasive treatment should be sufficiently severe to remove the whole of any previously formed corrosion product. It has been shown that on rusted steel, crystals of ferrous sulfate are present at the base of quite deep pits. Since paint films are permeable to both water and oxygen, corrosion cells can be set up under the paint unless the preparation is sufficiently thorough. This entry was posted in Corrosion. Bookmark the permalink.